LBP locksmiths Brighton were called to central Brighton to replace a back door and install a British standard compliant sash deadlock. LBP locksmiths Brighton initially visited the property to take measurements and give a quote. The customer advised us that a few other companies did the same. 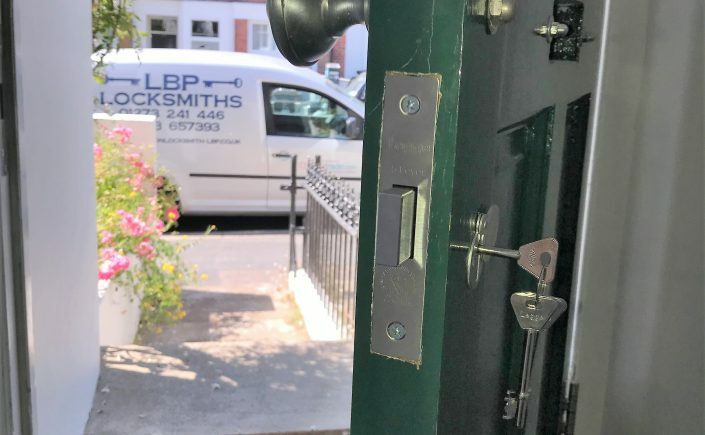 Why did they choose LBP locksmiths Brighton? We provided the most competitive quote, we were the friendliest and most professional, not to mention our great time keeping and communication throughout. 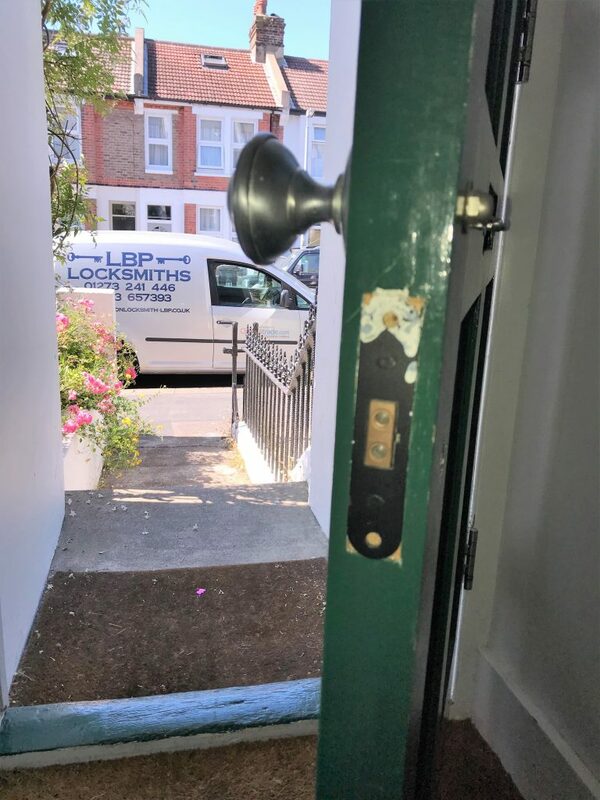 LBP locksmiths Brighton were called to a property in the Hollingdean area of Brighton as the customer had recently moved into a new house and wanted the locks changed. A property lock change to be done. The customer had obtained five different quotes from other locksmiths, and LBP Locksmith Brighton provided the best one. The job was booked in at a time and on a day which best suited the customers requirements. 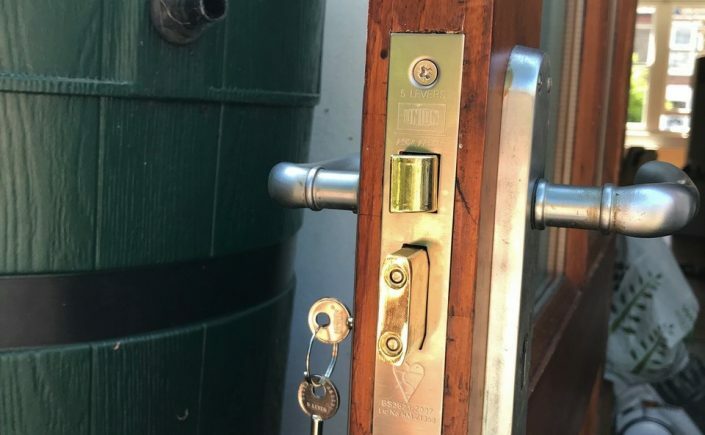 We replaced the cylinder and upgraded the deadlock so it complies with current British standards, these locks are approved by insurance companies and the police. Contact LBP locksmiths for more information. LBP locksmiths Brighton were called to an emergency lock out situation in the seven dials area of Brighton. The customer had left their property to pop to the local shops. When they arrived back, they tried to turn the key in the lock but it didn’t work. The keys wouldn’t turn either way in the cylinder. After spending some time trying to get it to turn, they called LBP locksmiths Brighton. From the information they provided over the telephone, it appeared that the deadlocking snib (the little button) on their traditional yale nightlatch had dropped from the inside, making their keys useless. This is a very frustrating scenario as the customer had not lost their keys, yet were unable to get back inside their home. 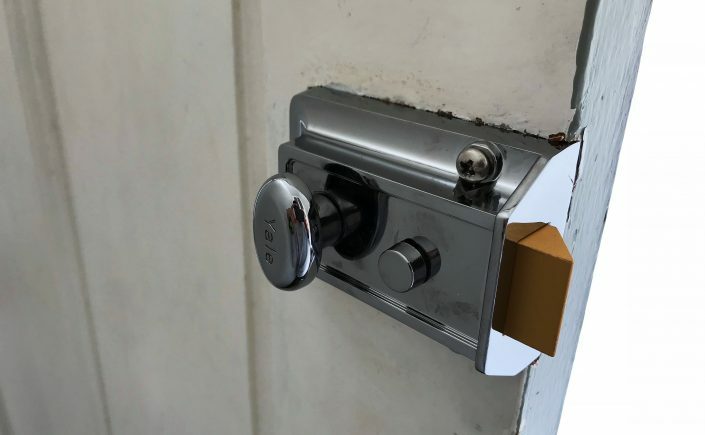 It is a common job for us locksmiths and is generally caused by a faulty/aged nightlatch or when the door needs to be slammed in order for the latch to engage… this can cause vibration and the snib will drop down. LBP locksmiths Brighton arrived at the property just thirty minutes after the customer’s initial phone call. We were able to gain entry to the property without any damage to the door or the lock. The existing nightlatch appeared to be quite old. The snib was fairly loose and there was a possibility of this happening again. The customer requested that we changed the nightlatch for a nice shiny new one. LBP locksmiths Brighton were able to do this for the customer there and then, at a fair price too. Be sure to save our information just in case you need it in the future.